This message fuelled market doubts about the ability of the ECB to increase interest rates in the current expansionary phase. Doubt which had already been supported by Draghi himself who, in the press conference following the March ECB meeting, noted that the possibility of liking the stability of interest rates to March 2020 had been discussed. However, in the end it was decided to link it to the end of 2019. At that point, the messages already caused the market to delay the first interest rate rise in the Eurozone to October 2020. An increase which was estimated at +10 bp, and should be understood in terms of the deposit facility, contemplating a scenario in which short term rates would be negative until spring 2022. A scenario which has already been overtaken by circumstances, as it is beginning to be thought that Eurozone interest rates will not be raised for a long time. In this line, the CMS curve confirms that it is operating under the hypothesis that the ECB cannot raise interest rates in the current expansionary phase. In this context, even more important is Draghi´s message on the implications of negative interest rates: “if necessary, we should reflect on possible measures which could preserve the favourable implications of negative rates for the economy, at the same time as mitigating the secondary effects, if there are any”. These words had even more value when, a little later, it was leaked that the ECB would be studying available options to lower the costs for banks derived from the excess cash deposited in the ECB. According the ECB balance sheet for 22 March, the resources immobilised in the deposit facility reached 620.177 billion euros and the amount deposited in the central bank´s current accounts reached 1.351 trillion euros, even if you have to deduct from the second figure the almost 130 billion euros which correspond to the minimum reserves. All together, almost 1.85 trillion euros are immobilised in the ECB and this is also synonymous with an economy which gives the banks no margin for adequately developing its business. So, if we put together Draghi´s willingness to apply new stimuli with his wink at the mitigation of the possible secondary effects of negative rates and the leaks, the conclusions are not especially positive. In fact it could be concluded that the ECB foresees maintaining the current interest rate scenario is being foreseen for a long time and that this will oblige it to reduce the burden on banks that this supposes. 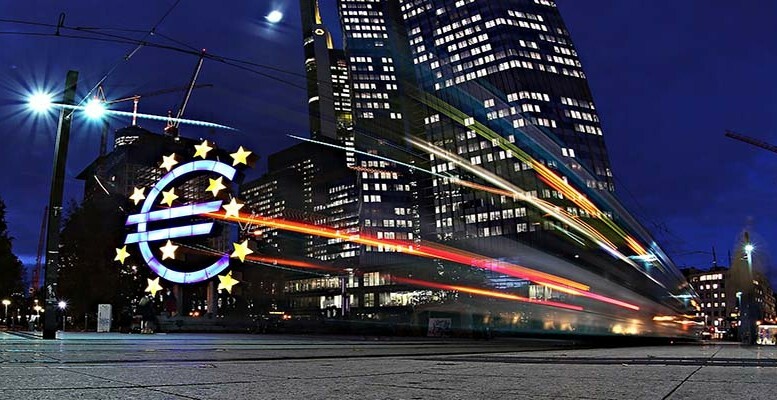 At first the questions raised were interpreted positively in the markets, as investors supported themselves with the ECB reinforcement of stimuli and with the possibility that the European banks would reduce part of the bill of around 7 billion euros a year derived from depositing excess cash in the ECB. A short term interpretation which amounts to just a patch and, in additions, could turn against itself in the event of a risk scenario in which there is another delay in the reactivation of the European economy. In that moment, the patch in the form of possible ECB stimuli would lose its value as something forced by economic weakness and the banks would come up against the bad environment for the volume of their business and, above all, with a yield curve structure which would continue to strangle their interest rate margins. Will we see a second round of QE in Europe soon? How would broader ECB QE impact the UK?